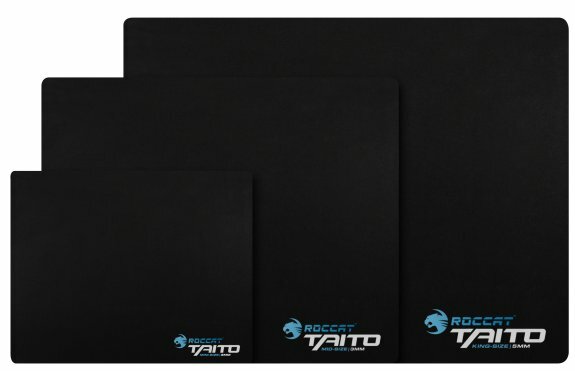 Razer introduced new Taito gaming mousepads with thicknesses of 3mm and 5mm, as well as three sizes: Mini, Mid and King. Offering a fresh take on one of the best-selling gaming mouse pads in history, ROCCAT™ Studios – the Hamburg, Germany-based manufacturer of professional PC gaming devices and equipment – today announced that the legendary ROCCAT™ Taito Shiny Black Gaming Mousepad now comes in two thicknesses of 3mm and 5mm, as well as in the three sizes of Mini-, Mid- and King. The introduction of a new thickness allows gamers to select a Taito that best offsets the amount of hand pressure used during play – which means hours of playing comfort no matter what a gamer’s style is. 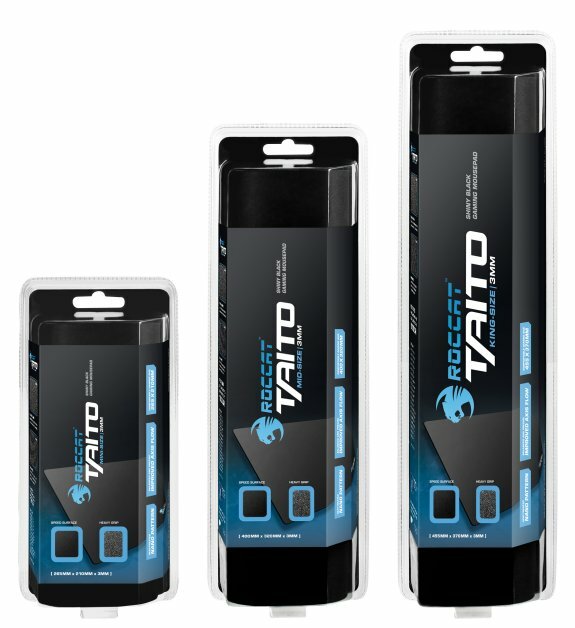 The two heights also let players pick a Taito best suited to their desktop, as each pad provides a form fit on most playing surfaces, compensating for unevenness on a gamer’s desk and delivering uninterrupted gliding. Taito’s new sizes now also let gamers pick the pad that best fits their desktop -- as well as one best suited to the amount of movement used in their gaming style. Players who prefer a lower mouse sensitivity setting – i.e., a lower dpi – will appreciate more room to move, while high-sense gamers who use upper range dpi settings will enjoy the smaller , space-saving Taito versions. The smallest Taito, the Mini, measures 265 mm x 210 mm, the Mid-Size model comes in at 400 mm x 320 mm, and the King-Size version offers a generous playing field of 455 mm x 370 mm. Each Taito offers the pad’s famous signature feature: a unique, heat -blasted Nano Matrix gaming surface that delivers maximum gliding speed in all directions – together with optimal control. This shiny black surface also allows for high-performance tracking with any mouse sensor .